The anger's out of control, but you don't know how to stop it. I do, and I can show you how to control your own anger or help your loved ones control their anger. You Get 40 Years Of Value In 40 Minutes! I've helped thousands learn to control their anger over the past 40+ years. Read on to find out how I can help you...or jump down the page to order now. It was years ago, when I was doing group therapy with some new clients in a treatment facility. They were sitting there vibrating with anger. These were folks dealing with depression, divorce and abusive relationships, and as I began working with them, something really got my attention. Anger! except medication and talk therapy--which weren't working. So, I decided to find a better way to help these good people, who were basically just like you and me, going through a very hard time in their lives. As a result, I came up with some anger management techniques that really work. Now, because you landed on this page, you're going to find out what they are. One thing I learned is that logic just doesn't work to deal with anger. That's because logic doesn't even touch the cause of anger. And that's why it's nearly impossible to talk yourself or anyone else out of being angry. With our Anger Management Techniques Audio CD/MP3 download program, you will get the benefit of my four decades of experience, all in a 40 minute program (plus bonuses...see below). My name is Dr. William DeFoore, and as I mentioned, I've been helping people solve their anger problems for over 40 years. This is a passion of mine, because I see so many suffering so much--and it just doesn't have to be that way. I love seeing people get better, improve their lives, and start creating great, healthy relationships. You know better than anyone how much anger hurts. And you know how much you want that to change. And I know how to help you. That's the winning combination. I have all the degrees (B.A., M.A. and Ph.D.), but that's not where I learned how to help folks with their anger. It came from a lot of professional work, learning and life experience. I learned by doing--and that's how you're going to learn too. You have a good mind and a good heart, and with this program you'll put them both to work for you, in the best possible way. Discover the secrets of what anger really is and how it works. Realize you are a good person--and that's why you don't like all of this anger. Use your total mind power to get emotional and physical relief. Yep, anger lives in your body. 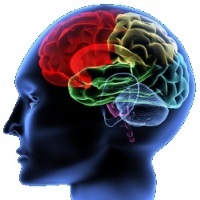 Activate the power of your mind with the techniques of imagery (picturing something in your head). These techniques get your whole brain working to control your anger and break old habits that just don't work any more. Then we add the physical anger release methods, which gets your body involved, and the healing really hits home. More empathy--the ability to put yourself in the other person's shoes. The fighting stops--yes, it really does! Couples are able to save their marriages. Homes become safer and happier--people stop hurting those they love. People become the good folks they really are inside! You've had it with what's going on, or you wouldn't be here. Things are getting way out of hand, and somebody could get hurt--or maybe that's already happened. That's how it is with out-of-control anger. I've discovered something in my many years of helping folks overcome their anger. Want to know what it is? "Angry people are good people who just want things to be better and need help getting that done." You are here because you're a good person inside, and you don't like things being out of control. You're ready for things to get better. Maybe you love someone who is angry, and you probably know that they are good inside, too. Either way, you are ready for a change, and not just any change. You want lasting change that you can live with. So, here we go. You've tried to fix things. It's just not working. It's time to get some real, down-to-earth skills and knowledge to bring you the relief you're looking for. I've found a way to solve your problem, and it's right here at your fingertips. Why wait? Get quick relief from the tension, stress and anxiety of out-of-control-anger. Get lasting control over your anger, so that you can show your love and compassion like you really want to. Sleep better at night knowing you are a good person, even though you have an anger problem. Get some peace of mind as you find out what anger really is and what to do about it. Get your bearings in this out-of-control situation with the Anger Assessment Scale included in this program. You just want to feel better, right? With anger problems, you might have headaches, stomachaches, or neck and back pain. Well, good news! This anger management audio might even give you some relief from physical pain. I'll bet you're also worried about your family --or maybe they're worried about you. Either way, you love them and you don't want to be the cause of their pain and unhappiness. Good news again! Healing your anger will definitely help your family. Breathing easy as you let go of the toxic anger and give your body a break from the tension. Protecting your family and loved ones from the destructive power of unhealthy anger. Using the power of your mind for healing your anger and channeling your emotions into healthy, productive actions. Enjoying the confidence of knowing you have an anger management technique for every situation that might arise! Discovering the amazing power of healthy anger and the positive source of healing that is within you. 1. What Kind of Anger Do You Have? Listen to a preview of Anger Management Techniques now! "I'm an army social worker in Germany. I am working with a lot of soldiers who are coming back from Iraq. Many have Post Traumatic Stress Disorder issues, of which anger can be a symptom. I have listened to the Anger Management Techniques download several times and like it very much. I like using the techniques from this program with my clients. They seem to get a lot out of them." "I ordered an Anger Management Techniques CD and I found it really helpful. I like Dr. DeFoore's approach and even made some one-on-one appointments with him." "I just wanted to let you know the downloads and the written information on your site have been very insightful and valuable to me. Having the ability to go back and listen to all or part of the downloads at work to help reinforce the information has been very nice." This Ebook has all of the information on the Anger Management Techniques audio, plus some extra bonus information. Enhance your learning by adding this excellent Ebook download to your package. The more ways you learn, the more you will succeed in reaching your goals. "When you understand and heal your anger, it becomes part of your emotional intelligence, which makes you happier, healthier and better in all of your relationships." 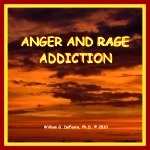 This audio download program will help you prevent or heal anger and rage addiction. And believe me, you don't want these problems to continue--they can destroy your relationships or even your life. This audio download will walk you through the stages of the addiction cycle and tell you exactly how to break the cycle. "The powerful rush of adrenaline that often accompanies anger release feels good, even if the outcome is destructive. Because of this, you can actually get addicted to explosive releases of anger and rage." When you order this 40 minute audio program, whether in CD or MP3 format, you will receive a "Thank You" email that will include your download information and bonus links. If you ordered the CD, it will be mailed to you at the address you provide on your order form. Just click on the ADD TO CART button under "Order the Single CD" and you will be taken to a page where you can complete your purchase. It's as easy as that! If you chose to download your product, it will be an MP3 audio file that you can listen to immediately and play on your computer, phone or other device. You will be able to start listening and getting your benefits within minutes. Just click on the ADD TO CART button under "Download MP3" and you will be taken to a page where you can complete your purchase. Thanks for being here, and for making this effort to create more health and happiness in your life! I believe that when you help yourself and your family, you are helping everyone. So with that in mind, I want to thank you for taking the time to read this page, and making the effort to add to the goodness in the world from your own. P.S. If you haven't realized it yet, this program has everything you need to solve your anger problems once and for all! And you have nothing to lose and everything to gain by clicking above to order now! P.P.S. I give you my personal and professional assurance that if you use and practice these Anger Management Techniques to Stop The Anger Once And FOR ALL, you will have the lasting peace and control you've been looking for. Why wait?